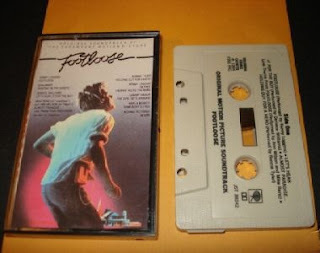 There are a lot of cassette tapes for sale on eBay. I am surprised, I wouldn't have thought there was much demand for them. 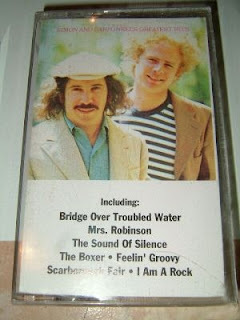 These are a few of the first tapes I bought when I was a teenager. 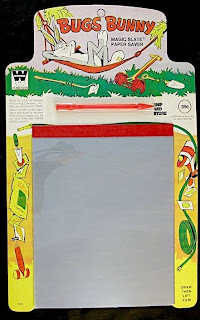 I remember drawing on magic slates when I was a kid. 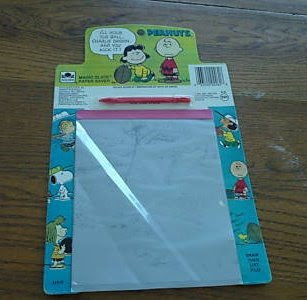 I don't think ours had Peanuts or Bugs Bunny on them, I am sure we got the plain ones. I think this was my older sister's book but of course I read it, probably more than once. 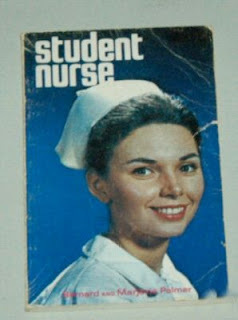 I also had the novel "Student Nurse" by the same author and enjoyed them both. 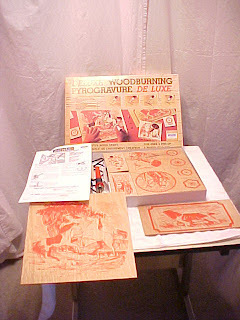 My younger brother got a woodburning kit one year for Christmas. I don't know if it was exactly like this one, but it looks familiar. I don't think he liked it much but I thought it was a neat gift. My aunt had one of these, the same pink colour on the ring. 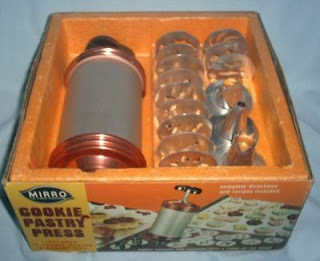 I vaguely remember borrowing it when I was in high school to make some cookies. 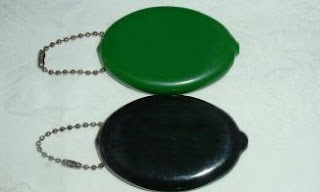 My sister and I had a couple of coin purses like this when we were little kids. 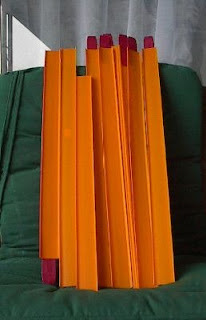 I seem to remember an orange one. My Sunday School teacher gave me this book one year for Christmas. 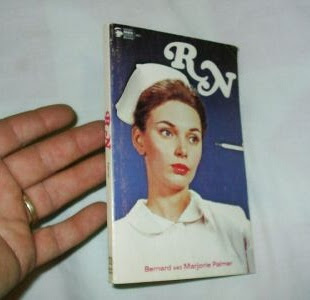 She knew that my oldest sister had just finished nurse's training and thought this would be appropriate. I enjoyed the book. 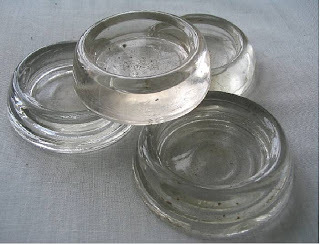 Another odd thing I remember from my childhood.....not a toy but glass casters that we had under some of our furniture. 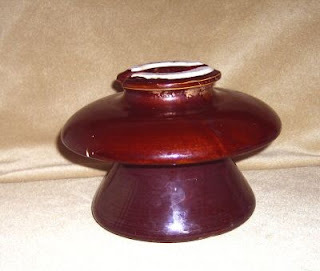 We also had brown rubber casters. 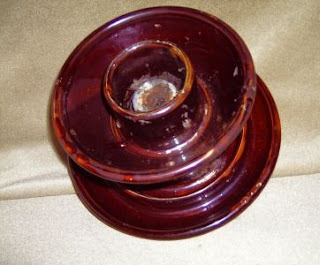 A search for "vintage marbles" on eBay will get a lot of results, this is one of them. They look like ordinary marbles to me, I guess marbles haven't changed much over the years. 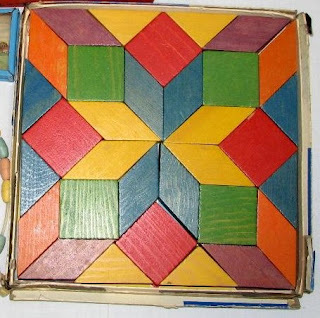 We played with them a lot when we were kids. 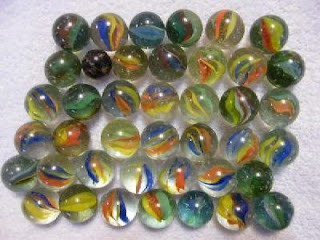 Technically they were my brother's marbles, I guess they were not a girl's toy. I never knew the proper rules of marbles, but we'd play with them in the dirt and driveway anyway. 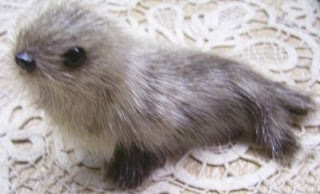 My sister and I had tons of these when we were kids. 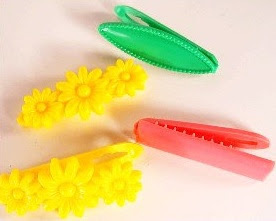 All different colours and shapes, and I definitely remember the flower shaped ones pictured here. My brother had tracks like this for his toy cars (some call them hot-wheels, we called them dinkies). His tracks were yellow, but they came with the dark connectors that you see on the ends of the tracks here. 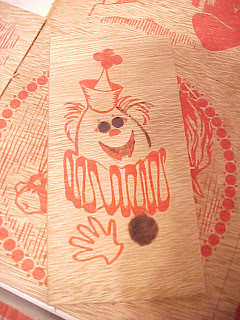 He would set up his tracks and push his dinkies along them, he even had a special connector to make a loop. It was all fun until he set his tracks up through my sister's and my Barbie dolls! 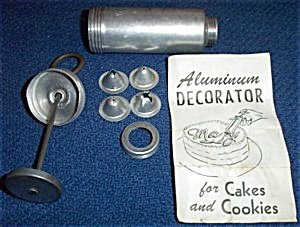 Mom had an aluminum cake decorator like this one. 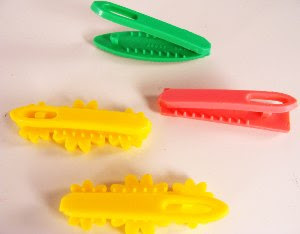 It was used often to decorate birthday cakes and my favourite memory is that Mom would give us the bowl of leftover icing and we would use the decorator to squirt it onto crackers and eat it......so good! 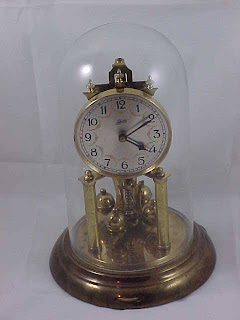 My parents had a clock like this, for years it sat on their bedroom dresser. But when Dad redid the living room it was placed on a shelf there. They never wound it and I never saw it work. 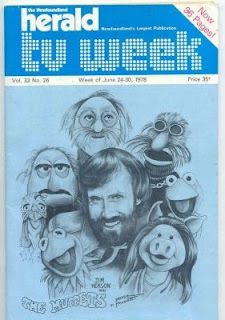 Another odd thing I remember from my childhood. My parents had a huge filing cabinet in their bedroom, I think it had 5 drawers and as a kid it was a fun place to explore. We each had our own folders where we kept school work and stuff, but the top drawer was my favourite drawer. It was filled with all sorts of office supplies and odds and ends. 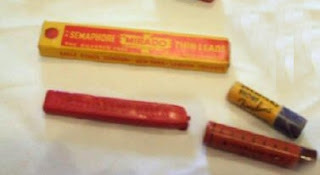 There was a red block of sealing wax in that drawer. 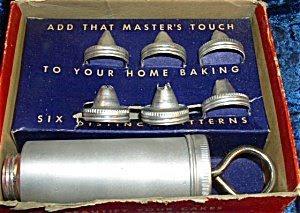 I am sure every time we rummaged through the drawer we would ask Mom what it was. She would say "sealing wax" but I heard it as "ceiling wax" and I always wondered why you would need to wax the ceiling, especially with red wax! 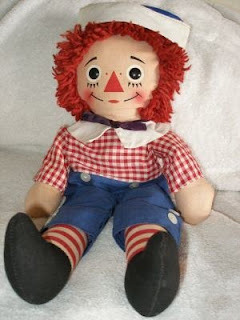 My sister also had a Raggedy Andy doll, I think she got it the year after she got her Raggedy Ann doll. It was a bit smaller than the Raggedy Ann doll. 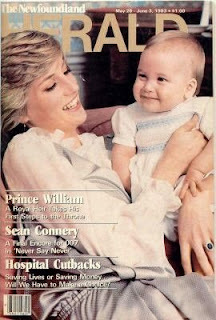 Like most Newfoundlander's, the Herald was a common fixture in our home. 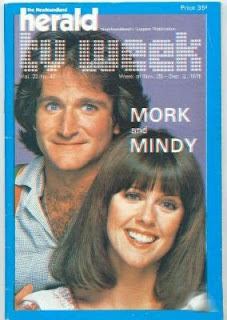 It was/is a tv guide and entertainment magazine. 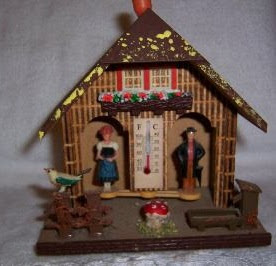 These are from the late 70's and early 80's. 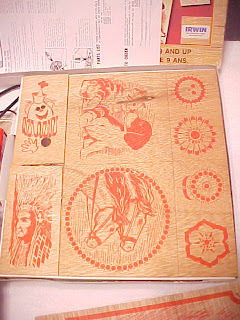 They started out with drawings on the cover and then changed to pictures.